Mark, consider yourself benched: 2015 is all about Mario of the Ninja. Klei elegantly proved that the emergent murder of a Dishonored or Assassin’s Creed could be losslessly transposed into two dimensions, and it’s inspired a couple of unique takes on the concept. 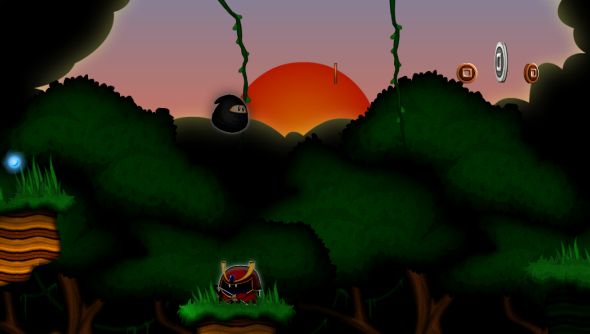 To the turn-based takedowns of Ronin, add the bouncy platforming spirit of Sneaky Ninja – a stealth game as lighthearted as it is light-footed. The following is a transmission from an alternate world games industry in which Nintendo took a rather different turn – allowing you to pick coins from the pockets of goombas while their backs were turned. You’ll have noticed a few of the four playable characters there, each geared towards a particular playstyle: Sensei Shoji hides in plain sight, and Sharpshooter Kaida shoots sharply, in slow motion. The immediacy appeals, as does the playful push and pull of the animation. Expect all the good stuff nabbed from two decades of stealth games: rocks as distractions, extinguishable light sources, smokebombs and environmental cover. Also a healthy dose of magic: teleporting, stopping time, that sort of thing. Developers Starfall Studios are promising a fully-featured level editor, so you might get a fun toolset out of it too. They’re doing a Kickstarter on February 10th, and have already been Greenlit. Has Sneaky Ninja turned your head like that of a distracted guard?